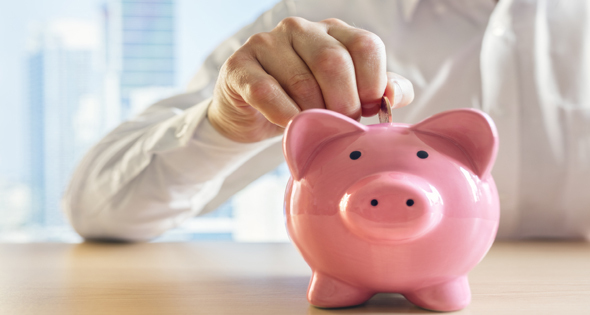 Learning how to save money is a useful skill for anyone, especially when you’re on a tight budget or searching for a new job. Sometimes, the hardest thing about saving money is simply getting started. This quick guide can help you start saving money today in ways you may not have considered. The sneaky thing about subscriptions is that people often forget about them and end up paying for a service they don’t even use. Make sure you’re paying only for the services you value, and you may see a noticeable difference. Sites like ClickPerks reward you with prepaid gift cards or cash when you take surveys, shop online and even just surf the net. It is free, easy to use, and gives you a specific goal to motivate you to rack up points for a gift card to Starbucks, Target, eBay and dozens of other choices. You can also exchange your hard earned points for money straight to your bank account, via PayPal, MasterCard and Visa Card. Let’s face it: We all fall for attractive branding, even when its generic alternative is just as good (if not better!). According to a Consumer Reports survey, store brands usually cost 25 percent less than national brands! So even if you make the switch for just a few products — bottled water, toilet paper and laundry detergent, for instance — over time, your wallet will thank you. We all know it’s cheaper to make coffee at home rather than buy it at Starbucks. But how much do you actually save? If you’re in the habit of buying your coffee at cafes, you might be unpleasantly surprised; habitual coffee drinkers spend between $240 and $1,200 a year on their daily vice, while someone who brews at home is spending around $45 a year. Almost all banks offer automated transfers between your checking and savings accounts. Automated transfers are a great way to save money, since you can choose when, how much and where to transfer money to, or even split your direct deposit between your savings and checking accounts. The best part? If your bank is helping you save automatically, you don’t even have to think about it, reducing the temptation to spend the money instead. Bonus! Find a job that offers complimentary meals or employee discounts. Start your search on JobsInOneHour!